Blurb Description: In the beginning, there was the Namsara: the child of sky and spirit, who carried love and laughter wherever he went. But where there is light, there must be dark—and so there was also the Iskari. The child of blood and moonlight. The destroyer. The death bringer. I have been OBSESSED with dragons for as long as I can remember, or, more specifically, from the first time I saw Saphira in Eragon, the movie and then HAD to read the rest of the books despite the fact that I was only eleven, and barely understood anything from them. At the beginning of this year, I had two young adult books featuring dragons on my radar, and I knew I NEEDED to read BOTH of them. The first was Before She Ignites by the LOVELY Jodi Meadows which I FELL IN LOVE WITH and I honestly cannot wait for more in her trilogy. 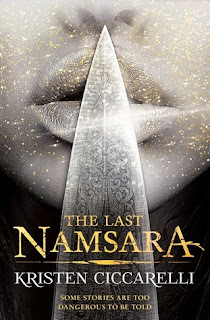 The second was this book, The Last Namsara, Kristen Ciccarelli’s debut novel which sounded SO GOOD that I was SO EXCITED to read it, and then I did. One of my biggest problems with this book was HOW MUCH I STRUGGLED TO CONNECT WITH ANY OF THE CHARACTERS IN THIS 400 PAGE BOOK. And I mean ANY. 1. I absolutely love that this book had dragons. DRAGONS, I TELL YOU. 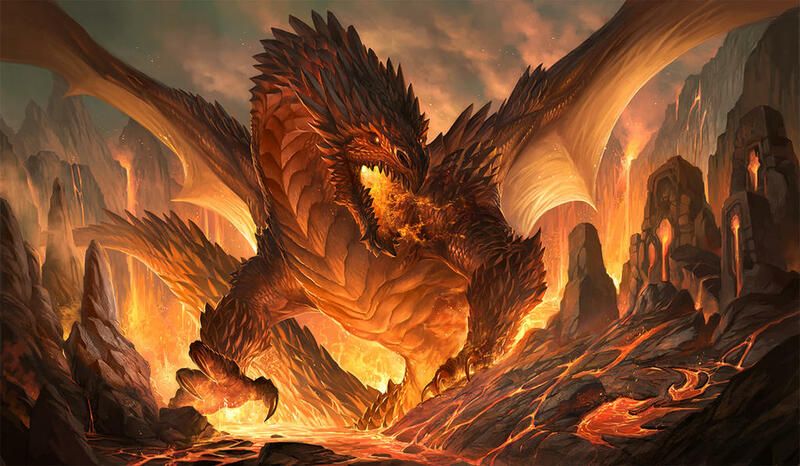 Like I said above, I love dragons so much and I love how the book portrayed them. 2. I love that STORIES themselves had so much power in this book. I live on stories, just like most of my closest friends, and a story that talked about the power of stories and was actually filled to the brim with its own stories and fables from the world and it was really good. 3. This is where most of the things I liked about The Last Namsara ends. The rest of the book was dry, PREDICTABLE and I honestly didn’t enjoy much of it. The forbidden romance, BORING. The evil ruler, MEH, and so on. 4. I also struggled to connect with the characters. I just didn’t feel anything for them emotionally, which made it so hard to care about their world, their struggles or their relationships. They all felt like monotonous characters, with only a one track mind. 5. More than anything, THE PLOT OF THIS BOOK DIDN’T MAKE SENSE. Or maybe, by that time, I had stopped caring enough but there were just SO MANY imprisonments and kidnappings and claims of a new world coming, with JUST THE SAME IDEALS? HOW IS IT A NEW WORLD IF THE SAME DISCRIMINATION AND RULES TAKE PLACE? WHAT? I honestly don’t know what was happening, especially with the whole Regicide rule. If you want a rebellion, and a NEW King on the throne, you need to kill the OLD king, RIGHT? So if someone on the opposing side DOES KILL THE OTHER SIDE’S KING WHY IS HE/ SHE IMPRISONED AND THEN SENTENCED TO DIE? WHAT EVEN? ISN’T THAT A WIN? ISN’T THAT THE POINT OF THE REBELLION? 6. I also felt like this book had a LOT of filler and the important scenes, where Asha, our main character actually realised things that changed her perspective on everything happened so quickly, that even I couldn’t process them. All in all, I WISH THIS BOOK HAD BEEN MORE. It was predictable and dry, BUT it had dragons and some excellent world building and so I’m on the fence about this series. 3 stars. What are some of your favourite fictional creatures in fantasy novels? Do you like books with dragons in them? Have you read any books with dragons in them this year?